Hays, KS (August 7, 2018) –Dr. Aaron M. Pfeifer, MD has joined the medical staff of HaysMed as a full time physician. Dr. Pfeifer, a Hays native, will join Dr(s). Gerald Matzke, Rob Miller and Derek Yarmer in the Emergency Department. 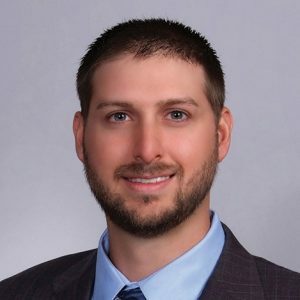 Dr. Pfeifer is a Thomas Moore Prep alumni and graduated from Fort Hays State University. He completed medical school at The University of Kansas School of Medicine, Kansas City. He did his residency training in emergency medicine at Western Michigan Homer Stryker, MD, School of Medicine, Kalamazoo, Michigan. For more information on emergency services at HaysMed go to haysmed.com/emergency-department.